I thought I had exhausted the repertoire of Cheeses of the Middle East. That is until I came across Baladi cheese. 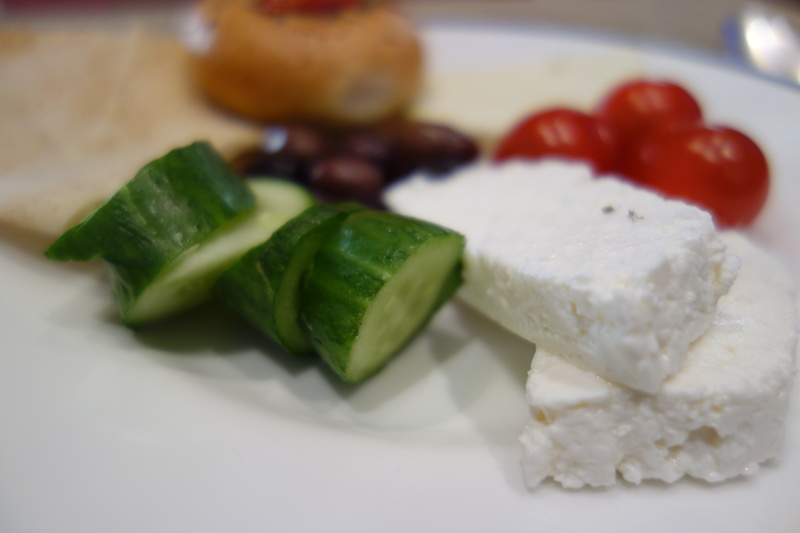 Baladi is a soft, white cheese originated in the Middle East. It is known Jibneh Khadra or Jibnah Baladi in Arabic. 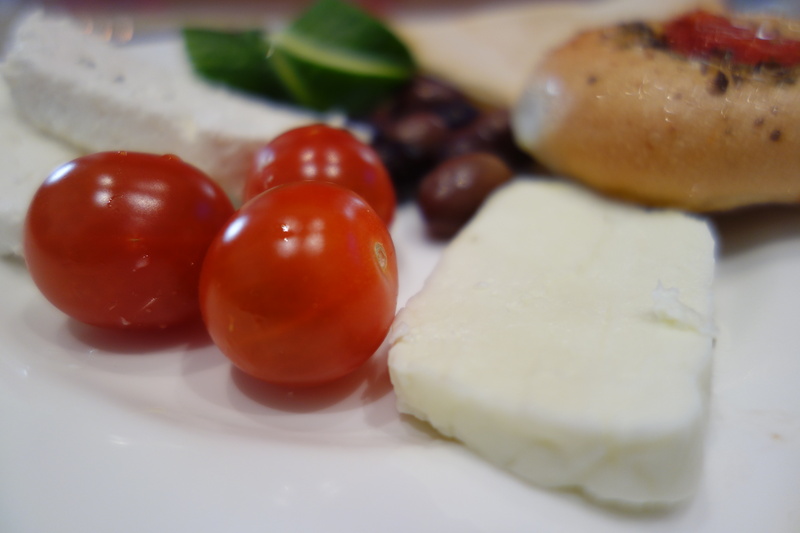 In local language, Baladi means local cheese made from a flock of “baladi” goats. Alternatively, it is also called ‘cheese of the mountains’ because it is made in high mountains all over Lebanon by the local shepherds. Since Baladi is made from unpasteurized mixture of goat, cow and sheep’s milk, it has to be consumed within three days. The cheese appears similar to Akawie, but it has more dense texture. It is a soft unripened cheese with a sweet and slightly salty flavor although this one I tried from the breakfast buffet at Grand Hyatt Doha was surprisingly rich. This artisan cheese can be eaten with local bread or served with a drizzle of olive oil and fresh herbs. 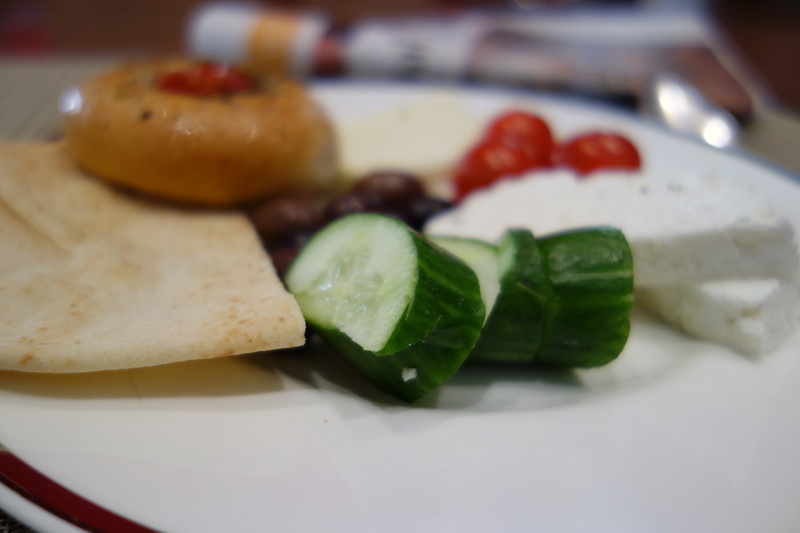 Or, as I ate it, in a traditional Middle Eastern breakfast – with tomatoes, cucumber, olives and some bread. I also tried this with some fresh halloumi. We are used to having halloumi grilled, which brings out its saltiness. But here I tried the fresh variety – the texture can be a little rubbery but not unpleasant.